Congratulations to Dave Phillips on being named a 2015-16 Classical Music Student Ambassador Leader. From Colonie, New York, he is the son of Christopher and Carmen Phillips. 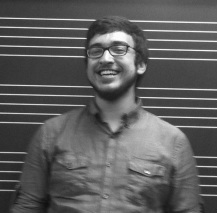 Dave is a second-year graduate student in viola performance, studying with Timothy Deighton. He received his undergraduate degree in 2014 from the Crane School of Music at SUNY Potsdam in Potsdam, New York, where he served as the conductor of the Viola Ensemble. This will be Dave's second year as an ambassador leader.